In this episode of Inbound Sales Journey, Ryan and Gray discuss the pros and cons of selling and working with clients remotely or in-person. Each has their benefits. Here are the main takeaways from the episode. Selling remotely is the most popular way of selling, and it’s clear why. It saves money for an agency. You have lower travel expenses. You also save time going that you can use for your company. Your client base also isn’t as limited to a particular region. 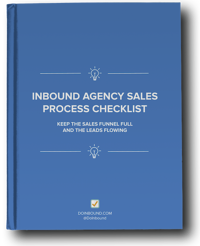 Another benefit is that it is easier to scale in the future when growing your agency. Selling in-person though less popular also have a lot of advantages. For most people, it’s easier to build rapport with a client by talking in person. It’s easier to communicate and prove your expertise. Taking the time to visit a client or prospect also shows a level of commitment and differentiate from other agencies. In some industries, they may be more traditional and may be more used to selling in person this way. Factors to weigh in this decisions are expenses, how far the location is, travel time, feasible to scale, and your closing success rate. As an agency owner, you need to take these into consideration and be clear cut about who is paying for travel for the work whether it’s you or the client. If one or the other isn’t working, don’t be afraid to change it up to get the results you want out of your agency.